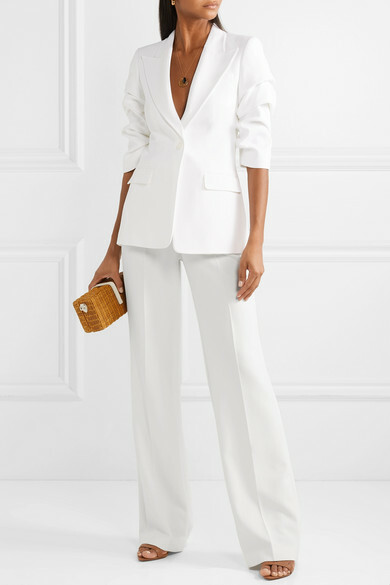 Though Michael Kors is based in New York, the designer spends weeks at a time visiting the label's Milanese atelier to ensure that each piece is impeccably tailored - his dedication to refining every detail is clear to see in this crepe blazer. 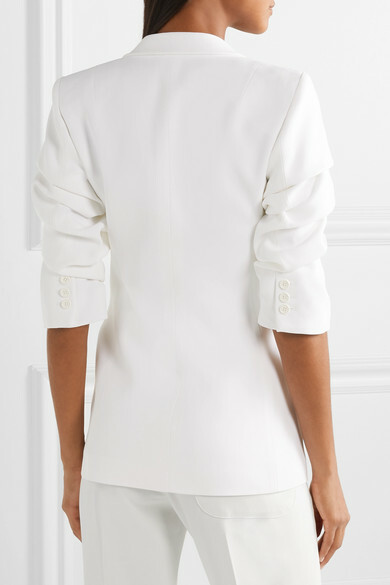 It has elegant ruching through the three-quarter length sleeves and a nipped-in waist that's emphasized by a single front button. 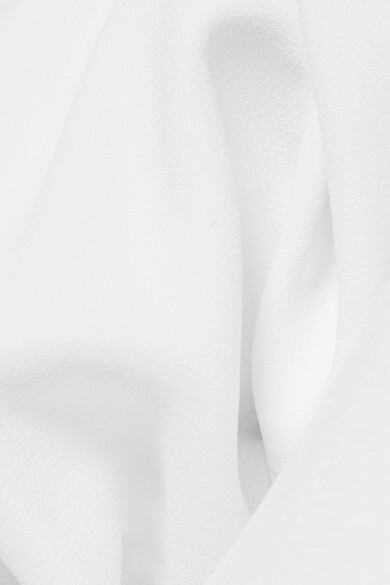 Style yours with white pants and a bralette underneath. Shown here with: Joseph Pants, Miu Miu Shoulder bag, Alexandre Birman Sandals, Alighieri Necklace, Sophie Buhai Earrings.